Payline Data (formerly Payline) is a merchant services provider that enables users to process customer payments both in-store or online. It offers features and services such as integrated payments, retail payment processing, mobile payment processing, and more. In this article, we covered user reviews and pricing. Ready to try Payline Data? Contact their support team for more information. As of the date this article was written (10/31/18), there are not a lot of up-to-date positive Payline Data reviews online. However, some users said that the software is user-friendly and that the customer support team is always accessible and reliable. 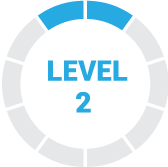 A user who left a positive review of Payline Data on G2 Crowd said that Payline Data provided an easy credit card processing system that allows their company to have fast-paced operations with no delays in payment processing. There are not a lot of up-to-date negative Payline Data reviews online as of this article’s writing. However, some users complained about the company’s lack of transparency — referring to the hidden charges that they only discovered once their bill arrived. A user who left a negative review of Payline Data on Consumer Affairs said that there are fees for statements, to get a web login, PCI compliance, gateway, account maintenance, and more that she wasn’t told about — resulting to an additional $60 every month. According to the user, she told the sales team about this, but she never received a resolution or feedback. Payline Data offers two pricing plans: Payline Start ($10/month + Interchange Plus + 0.2%) and Payline Connect ($10/month + Interchange Plus + 0.3%). The main difference between the plans is that Payline Start is specifically for swiped transactions, while Payline Connect is for keyed-in and online transactions. *Additional percentage fees ranging from 0.25% and 1.90% are applied depending on whether a credit card or a debit card is used. Interchange Plus is the pricing model that computes the cost to process payments (interchange fee of a card, varies per card) plus a markup from Payline Data that’s between 0.3% and 0.5%. Ready to try out Payline Data? Contact their support team for more information. When are processed funds transferred to the user’s account? Payline Data deposits processed funds to the user’s account the day after the transaction. What if a user decides to cancel an account? Is there a cancellation fee? No. Users will not be charged for canceling an account. Not sure if Payline Data is the right fit for you? Read our reviews of top merchant services providers or check out one of these three Payline Data alternatives. Disclaimer: The following information was provided by Payline and does not necessarily reflect the views of FitSmallBusiness.com. 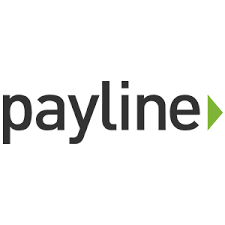 For businesses that need fresh, flexible and friendly payment processing solutions, Payline offers industry-leading technology and products to power killer payment experiences. Our omni-channel solutions provide options for businesses across all industries and sizes—from startups to Fortune 500’s—tailored to suit your individual needs. Unlike other payment vendors who focus primarily on their bottom line, we care about what’s on your horizon. Payline is headquartered in Chicago, IL and built on a foundation of providing opportunities for employees and customers to achieve their greatest potential. Payline Data provides customer service and support through email and a phone line that’s available from 6:00 AM until 9:00 PM (CST), Monday through Friday. With Payline, the quality of the telephone support is top-notch, and it’s one of the areas where its customers have frequently praised the company. You’ll find a handy FAQ on the company’s website. For developers, there’s also an extensive API Reference available online that will be invaluable in integrating Payline’s payment platform with your customers’ websites. What makes Payline stand out from the competition? Our commitment to educating business owners to make the right decision ~ https://paylinedata.com/blog/. Our commitment to getting the right product in our partner’s hands and supporting them throughout their growth. They have a great gateway so there is no need to get one elsewhere. And their API was very easy to set-up. I had been relatively pleased with the company up to a week or so ago. When I noticed that some of my funds had not been deposited like they were suppose to into my bank account. It took an hour long phone call to finally get a tech person to tell us it would be there the next day. The first tech we spoke to said he didn’t know what had happened and wasn’t sure how to fix it. I asked customer service what would have happened had the funds not transferred and I asked if it would send any notices to me or them if a batch transfer was stuck and I was told, “No, you are responsible to make sure that the funds arrive in your account”. I would have still used them as overall I am happy. I just wish they had some better fail-safes when it comes to batch transfers being sent to my bank. I have one other wish, just in case they read this. I get daily emails of my subscription payments that had been processed this gives me totals and then lists all failed transactions. It would be really nice and probably an easy fix to have it also list in the email the successful payments as well. Their quick service and easy to get a hold of. They also have their own gateway with an API to access it. Buffy, out account representative. She is just AMAZING. Always gets back to us on time and is very helpful! I will not go back to any other merchant service provider. Customer service and clarity is what every business needs and looks for. With Payline you are guaranteed to have all that, We are very happy with Payline. Nothing this far, everything is easy to use and no hidden fees like other providers. We are able to see when payline comes in, no hidden names on our bank account statements.